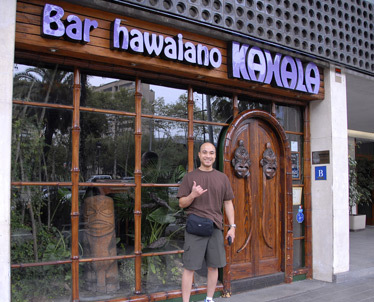 Elbert Doles, his wife and daughter were in Barcelona, Spain, in August when they stopped for this shot at the Bar Hawaiano Kahala. 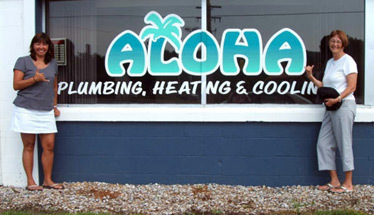 Cathy McNally and her mom, Norma Gayagas, found Aloha Plumbing, Heating & Cooling in East Jordan, Mich.
Colby Ing visited Thun, Switzerland, this summer. 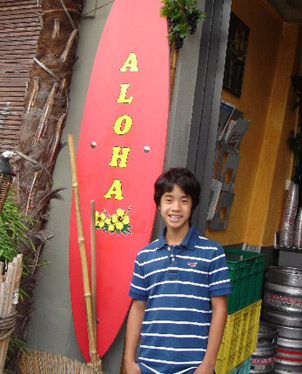 He stopped for this shot in front of the Aloha Bar.